Sometimes you'll see people talking about tracking your spending "to the penny" when discussing budgeting. I don't know for sure if that is meant to be taken literally or not. However I can confidently say that its not really necessary to track every cent of your spending. It is OK to track your spending to the nearest dollar. After you add it all up, rounding off the value of your purchases and expenses will be just about equivalent to tracking the exact numbers. Lets look at an example of 10 figures. Below are ten actual dollar value purchases from one of my credit card statements. I compare the actual bill to the amounts rounded to the nearest dollar. As you can see after you add up the totals the difference is only $1.27 out of $512.27. If you have 10 transactions then the most that those could be off by rounding to the nearest dollar is $5. For example lets say you had 10 purchases all of $1.50 If you rounded those to the nearest dollar you'd round up to $2. That would mean you add 50¢ for each transaction and you'd be off by $5 total compared to the actual purchases. However the cents values of your purchases are almost always going to be randomly distributed more than not. You won't have a ton of purchases with 50¢ in change. You'll have several purchases of 90¢ or more and many of 10¢ or less worth of change. They will tend to even out over a larger sample. I looked at a set of almost 500 purchases in my credit card statements to date. For various groups of numbers I compared rounding to actual figures. Looking at groups of 30 purchases the most that the rounded figures were off versus the actual numbers in total was $2.54 For groups of 10 purchases the sum of the rounded values was at worst $1.78 less than the sum of the actual numbers. With a larger group of 60 figures the impact of rounding versus actual was $3.52 in worst case. As a percentage basis the error induced by rounding was usually around 0.1% to 0.2%. The worst case I found was off by 0.5%. If you're doing a monthly budget then you may have 20 to 30 individual financial transactions to record. If you round those figures then its likely the rounding will only change the totals by a couple dollars which will be less than 0.5% difference. Bottom Line : Rounding off your spending transactions to the dollar is not going to change your budget in a meaningful way. Rounding can save you some time and make budgeting easier. I have had several investments in ETF funds in my Roth IRA. I've bought the funds to have widely diversified investments. Some of the funds are ones that hold stocks with higher dividend payouts. Here is a table for all the ETFs that I have bought. I show the original purchase daid, the amount I paid per share, total dividends received to date, the current trading value per share and the cumulative annual return rate for the investments. I bought ICLN and then sold off most of it at $17.63 making a profit. It has then dropped under $9 so the stock I've got left is negative. All together I'm down 5% on that one. I bought VYM two times so theres two entries for that one. As you can see I'm beating or equalling the S&P in most cases. My investments in VTI & VYM are in broad market indexes so I'd expect those to be a lot closer to the performance of the S&P 500 than not. How does Tuition Cost for Public Universities Compare by State? I wanted an idea of how the cost of in state resident tuition at public universities varies from state to state. I looked up the cost of tuition and fees for resident undergrads for sample public universities in each state. For each state I ONLY looked at the University Of [State]. So that means : University of Alabama, University of Alaska, University of Arizona, etc. Every state tends to have several public colleges and universities and other state public universities may cost significantly more or less. For example I know in California that UC Berkeley is pricey compared to Cal State Fresno. The goal was just to get an idea of how public university tuition varies from state to state. Since I'm only looking at one school per state its possible that that school is not very representative of tuition rates in that states public schools in general. As you can see the cost of tuition varies a lot from state to state. New Hampshire was the most expensive at $15,250 and Wyoming was the cheapest at $4,125. As you can see there there can be a significant difference in tuition costs from one state to the next. There is over $11,000 difference spread between states in the listed schools. 60% of the schools on the list charge between $6,000 and $12,000 and the median is almost $9,000. Thats still a pretty wide distribution. One Third of schools in the middle charge between $8,000 and $10,000. Note that the cost ranks are out of 50 and the quality ranks are out of 111 total. So the cost and quality ranks are different scales. So these are the 20% most expensive schools. If cost = quality then you'd assume they'd be in the top 20% of quality as well. Half of the schools (highlighted in green) were in the top 20% of the US News rankings. Those schools followed the correlation between cost and quality. But thats only half of the top 10. Four of the schools were in the middle quality. Rhode Island was closer to the bottom of the US News rankings at #85 even though it was the 8th most expensive public school in my list. University of Louisiana and Alaska, Anchorage weren't in the US News ranking list so I'm listing 12 schools and I'll look at the 10 least expensive that were in the US News rankings. Four of the schools were in the bottom 20% of rankings. Five schools were in the middle. One school, University of Florida was in the top 20% of quality ranking but was the 6th least expensive school in my list. While there is some correlation between the tuition rate at public schools and their rankings this isn't dependable at all. Its just as likely that an expensive or cheap school will be in middle quality rankings. Its less likely that the most expensive school will be low ranking or the least expensive school will be high ranking but there are examples of each with Rhode Island and Florida respectively. Note : This analysis is NOT particularly scientific.. I just arbitrarily picked the "University of" schools instead of the "[statename] State University" or other public universities. I'm also not looking at the typical amount of financial aid at each school which would impact the actual cost to students. The sticker price and net tuition paid may vary greatly from state to state. There are a lot of personal finance blogs out there. You may have already ran across some of the bigger well known personal finance blogs. I previously listed my favorite personal finance blogs. There are literally hundreds if not thousands more blogs focusing on personal finances. I've sifted through a lot of them and below are a list of some of the more interesting and readable blogs you may not have heard of. "Educate, Inspire, Motivate for Wealth in Money & Life"
- -Barbara has an MBA in finance and a BS in economics. Probably more qualified than 99% of the personal finance bloggers out there (including myself). She writes well and covers some interesting stuff. "Increase Cash Flow by Saving, Earning, Investing"
--They focus on investing and passive income type stuff. I like the writing and the variety of topics. "The Canadian Source for personal finance"
If you live a ways North of me and are tired of hearing about Roth IRAs and other American centric financial topics then this blog is worth checking out. But then if you're Canadian you probably already heard about it, oh well its still a good one. "One Family's Adventures in Making Money From Nothing"
I love the graphics and photos on this blog. They focus on making extra money from here or there. Its a good read. Did I mention the graphics are great? "Because Mainstream Personal Finance Advice Is Not What It Should Be"
This one is now actually retired. The author went and got himself a real job and stopped writing some time ago. But what he did write is still better than 99% of other blogs are writing still today even if a lot of its out of date. If you've got some time go wander through the archives. fivecentnickel shares a link to The Massive Money Infographic from XKCD, direct link to the comic. I had ran across the comic myself before. Its extremely interesting stuff with tons of interesting data on money. I've had two major investments in REITs in my Roth IRA. Hospitality Properties Trust (HPT) and HRPT Properties Trust (HRP) which later changed name to CommonWealth REIT (CWH). Both were part of my original high dividend stock strategy. The idea was to buy stocks in my Roth that had good value and high dividends. At that time in late 2008 it was not hard to find REITs with yields in the double digits and the REIT ETFs were paying 9% plus. HRP & HPT were two REITs that I'd watched and evaluated for some time and I felt both were good buys. Both of these REITs performed quite well and in fact within a year my HRP had doubled in value. I bought my HPT stock in January 2009. I paid $14.15 for it. Today it trades for $22.21 and it has given me $4.37 per share total dividends so far. In the time I've owned it my HPT has returned 23% annually. I originally bought HRP in November 2008 for $3.45. I then sold about half my shares in Sept. 2009 when it hit $7.20. I sold a third of the remaining shares in March 2010 at $8. Then HRP changed their name to CWH and did a 1 for 4 split. I've also gotten about 76¢ per original share in dividends total the period I've owned them. My original investment has doubled. Altogether my originally investment in HRP is up around 26% annually in the 3 years I've held it. I will use SPDR S&P 500 (SPY) and Vanguard REIT Index ETF (VNQ) as benchmarks for my performance. While I beat the S&P 500 index pretty handily I only beat the REIT index by a few points. Outperforming an industry index by 3% or 6% is still quite a bit. I would have taken less risk with VNQ however. Hindsight is 20/20. Lets get a good look at how well I did timing the market on some of my stock trades. The following are all trades I did in my Roth IRA account. I created graphs using the charts on Yahoo Finance to show how my buy and sell points looked in comparison to the ups and downs of the stocks in question. I paid $20.85 for GE in November 2008 and then sold it for $16.90 in December 2010. I lost about 19%. If I'd waited a few months to buy and then also waited a few months to sell I would have timed it perfect. In March of 2009 GE traded for $7.06 and in Feb 11 it was up to $21.44. If I'd bought in March 09 and sold in Feb. 11 then I could have tripled my money. ON the other hand I could have been unlucky to buy GE before the financial collapse and paid $41 for it in October 2007. If I had then panicked at the bottom when it hit $7 in March 2009 and sold then I would have seen a 83% loss. I paid $17.45 for HOG in January 2009 and sold it for $34.90 in April 2010. I actually did quite well on this one. I more than doubled my money on the deal. If I'd timed it just right I could have bought for as low as $8.42 in March 2009 and then held it to the peak of $45.91 in July 2011. That would have been 5 times what I paid. If I'd timed it badly I might have paid $42.80 in September 2008 and then sold at the bottom of $8.42 in March 2009. That would have been a 80% loss. Bought in July 2009 for $19.60 and sold in December 2011 for $33.36. I actually did quite well on this one if you look at that chart. We'll have to see what BMY does in the coming months to know how well. If the price keeps going up and up then maybe I sold too soon. We'll see. Last fall I bought shares of Johnson & Johnson (JNJ) and Merck (MRK). I bought my JNJ in late October 2010 and the MRK in early September 2010. The S&P 500 has out performed both of these investments. For the same periods the S&P 500 is up around 4.3% compared to JNJ at 2.9% and up over 12% compared to the 4.3% for MRK. Combined my investments in JNJ & MRK are up about 3.4% total. If I'd instead bought S&P500, I would be up about 7.4%. The PE of MRK is currently a hefty 25.8 and their dividend is 4.7%. JNJ's PE is a better 15.49 and their yield is 3.5%. I own shares of AT&T (T) and Verizon (VZ) in my Roth IRA account. I bought them because they are solid blue chip companies, they had relatively low PE and relatively high dividend yields. I figured that both companies have decent income from a wide and stable business base. I bought 56 shares for $29.41 in November 2008 for a total cost of $1646.96. Since then I've gotten $282.24 in dividends. Currently AT&T trades at $29.01 so my 56 shares are worth $1624.56. I'm up $259.84 total in just over 3 years. Thats annual growth of just about 5% per year. I bought my Verizon shares in January 2010. I paid $1374.11 to get 44 shares at $31.23 each. Today Verizon is worth $38.35. Verizon has paid out $149.60 in dividends. In July 2010 I got 10 shares of Frontier Communications as part of Verizon selling off some of their business to Frontier. Frontier trades at $5.13 so my shares are worth $51.30. I've also gotten $13.43 in dividends from them. My initial $1,374.11 is now worth $1,901.73 total. Thats a 38% increase in just under two years. This equates to about 17% annual growth. In about 3 years my AT&T shares have grown around 5% per year average. In that same period the S&P 500 went from 970 to 1236. That equates to around 8.4% annual growth. My AT&T investment has underperformed the S&P 500 by a ways. On the other hand my Verizon investment has grown 17% annually for the 2 years that I've owned it. The S&P 500 went from 1150 to 1236 in that period and so only grew about 3.6% annually over the two years. My AT&T investment did worse than the S&P 500 but my Verizon did better. Combined I'm beating the index. Between my AT&T and Verizon I'm up about 25% total. If I'd instead bought the S&P 500 I'd be up about 18% now. Today the PE for AT&T is at 14.7 and the dividend yield is 5.9%. Verizon is PE of 15.4 and dividend yield of 5.2%. They aren't any more or less attractive from when I bought them. I am going to continue to hold for now. About a year ago I bought some shares in Annaly Capital Management, Inc. (NLY). NLY is a REIT that is highly leveraged and pays out a substantial dividend yield. I bought 26 shares at a price of $18.35 per share. The total investment was $477.10. In the past year I've received dividend payments of $65.26 total. Today NLY is now trading at just $16.18. Combining the dividend payments of $65.26 and the current capital value of $420.68 the value is now $485.94. In total I'm up roughly 1.8% for the year on the investment. The S&P 500 went from 1258 to 1234 in the same period so its down marginally by about 2%. Considering that the NLY is up only 1.8% and the Vanguard REIT ETF is up about 3.6% I don't consider my NLY investment a very good one. Buying the diversified ETF would have been a lot safer and it has performed better as well. I decided to sell my shares of NLY. When I bought the idea I had in my head was that I'd make >10% dividend and expected that the market value of the shares would likely stay flat. I knew the investment was a little risky given how NLY operates. But I figured (hoped) with a 10%+ dividend that it would be hard to go wrong. I didn't figure or really expect the market value of the shares to drop like they did. I don't consider this investment a success but on the other hand I didn't lose money. At the time I paid $19.6 for 25 shares. I recently sold my holdings for $33.36 per share. The PE is now up to 17.18 and the dividend yield is 4%. I mainly sold because the PE had gotten much higher and it had a pretty good run up in price. With that high of a PE it isn't a particularly good bargain/value stock today. Thats a 70% increase in market value in 2 years 5 months. Over the past couple years the stock has also paid out $72.75 in dividends. Initially spend $490, received $72.75 in dividends then sold for $834. This equates to about 29% annual growth on investment including the dividend pay out. By comparison in July 2009 the S&P 500 was trading around 900 levels and today is up to 1234. The index then has gone up about 33% total or around 12% annually. My investment in BMY easily doubled the performance of the S&P 500 index. I would consider this a successful investment. I bought a solid company with good financials that was trading for a relatively low price and then rode the stock till it grew substantially then cashed in nice profit. Personally I'm not sure why someone would want to use layaway. Why not just save up the money then buy the item when you have all the money? Layaway doesn't seem to get you anything beneficial. Festival of Frugality #309: Don't Be a Cash Potato Edition included my article Is Cheap Gasoline Bad for Your Car? The BLS has data on benefits offered by employers. They break down the insurance benefits offered by employers for private jobs. 58% of all private employees have access to life insurance coverage through work. 56% of employees participate in the insurance plans. 5% of employees have a contribution requirement for their benefit. The poverty line is defined by the federal government. It changes year to year and gradually goes up over time. The poverty line depends on the number of people in the family. It is the responsibility of the Dept. of Health and Human Services to publish the poverty rate. I found the 2011 figures at their website. For families with more than 8 persons, add $3,820 for each additional person. The poverty line is a bit more for Alaska and Hawaii. Each day from December 1st to December 25th they will offer another free MP3 download. Its kinda like a digital Advent calendar of free MP3's. full list of free MP3s available from Amazon. I do not want to receive your poor quality handmade gifts for Christmas. I'm sorry but your craft work is not really something I want. The out put of your hobby is not something I desire. I know that you may have read somewhere that giving a handmade gift is a good way to save money during the holidays. That could be a good idea if you were actually able to make handmade stuff that anyone wanted. Mostly thats just trite advice that gets copied and pasted and repeated back and forth from one advice column to the next. I don't know if those people giving that advice actually think most people can make good gifts or what. Wouldn't want it even if I was named Bruce. Let me ask you this... would you honestly like to receive any of my craft projects as a gift? I know you wouldn't. So why do you think I'd want you giving me your craft projects. If you're honest with yourself you'll know that I don't really want that stuff. I appreciate you may be cheap or simply broke. Thats fine and I don't hold it against you. If you don't have the money or simply don't want to spend the money then its all right by me if you don't give me anything at all. But please don't punish me by giving me a poorly made hand crafted gift I don't want just cause you don't have the money or simply don't want to spend it and don't want to feel guilty about not giving me a gift. If you want to be a cheapskate then thats OK. WE know our family is full of them. Just give me a cheap gift or something free or simply give me a card you print out on your computer for free which I'll just discard. Please don't give a gift that takes you a lot of time to make and that I don't actually want. If you don't want to give me a gift at all then thats just fine. Honestly. If clinging to all your money desperately is more important to you than spending some of it on your relatives then just be honest with yourself about that Thats what being a cheapskate is about... caring more about your money than other things. I have particularly low sympathy for you if you have debt problems. The fact that you're up to your eyeballs in debt wasn't any of my doing. I don't see how I should be punished by being forced to act like I enjoy getting your hand made junk as an excuse for a gift. I didn't force you to buy that new truck that you are having trouble affording and I certainly didn't have anything to do with you getting all that credit card debt. Not that I don't understand or have sympathy for your situation. You know I've had a pile of debt in the past too. But you know my debt never resulted in me giving you my hand crafts for Christmas. If you were better at making stuff by hand then maybe I'd feel differently. If you could cook as well as my sister then some nice home cooked baked goods might be a good gift. Or if you could knit like my cousin then a hand knitted blanket like the one she gave me might be great gift too. But we know you can't make that stuff. ps. ok you may have guessed that this isn't totally serious. 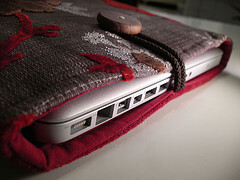 *Honestly that hand made laptop sleeve is pretty nice looking. Today Ebates is running a Cyber Monday 2 deal with double cash back from 500 stores. Theres a ton of other stores in their list and that is just a small sample. Note that the promotional cash back rates are only good today only. Various gasoline stations sell gasoline at different prices. The different major brands often boast that their gasoline has the bestest* additives and that their gasoline will do great and wonderful things for your car. But what about that other station that isn't a major brand name and sells gasoline for 5¢ cheaper? Should you be concerned about the quality of gasoline you get and is cheaper gasoline inherently poorer quality? This is one of those topics that has some serious arguments. One side is insistent that some gasoline stations sell bad gasoline and the best gas is sold by a specific company. On the other side of the argument are people who state that all gasoline is the really same and the only differences are minor detergents and marketing campaigns. Personally I've been of the understanding and belief that gasoline is all pretty much the same. There are few refineries in the USA and the gasoline basically all comes from the same places. The differences are in the additives added to the gasoline which will have marginal if any impact. I found an article from The Morning Call newspaper that reported "Consumer Reports magazine tested gasoline brands in 1995, and found no differences significant enough to make recommendations, according to senior auto test engineer Gabriel Shenhar." I think this is a pretty good data point to back up the idea that gasoline is pretty much all the same. Yes there may be differences but are they significant differences? Not according to Consumer Reports. I randomly selected Shell as one of the major brands. I then browsed to their site about Shell gasoline fuel. They talk a lot about how great their gasoline is. Shell has a patented formula for "Shell Nitrogen Enriched Gasolines" which they say "Acts as a protective barrier to shield and PROTECT intake valves and fuel injectors".and "Helps improve engine performance as you drive." Ok, well I don't doubt any of that per se. However how much does any of that really matter? I don't see anything on the Shell site that really proves any useful difference. They do say they've tested it : "Shell Nitrogen Enriched Gasolines have been extensively tested, clocking more than a half-million miles in various engines and vehicles, ..." But I don't see any results. If Shell tested their gasoline and found that it improved engine power, increased fuel mileage or significantly impacted engine life then why aren't they showing us those results? My guess is that their testing didn't really result in any significant improvements from using Shell gasoline. If they tested their gasoline and found it was better in a significant way then wouldn't they be bragging about that? I also checked out Exxon as another test and didn't find anything special there to prove their gas is better either. The big gas companies use some marketing to convince us that their gasoline is better. But they don't back it up with anything specific. There are no scientific tests done to illustrate concrete benefits. There are no 3rd party assessments to support their claims that their gas is best. Don't you think that if one company had gasoline that was really significantly better that they'd be bragging about it with specific proof? You bet they would. The mere fact that individual gasoline companies aren't bragging with specifics tells me that they don't have any specific proof of significant benefits from their gas. Unless a gasoline vendor can provide objective and useful information about why their gasoline is better I'm going to go with the assumption that it isn't really significantly better. Isn't Top Tier gas better? When researching this topic I came across a couple mentions of Top Tier gasoline standard. This is a standard for gasoline developed by some auto makers. Theoretically I see nothing wrong with this and I can't imagine why it isn't good gasoline. But I see nothing on the Top Tier website really explaining HOW this gas is better and WHY its better. Similar to the gasoline companies there is nothing proving to me objectively that I ought to worry about gas that isn't Top Tier labeled or anything significant to show why Top Tier gas is better. Lacking such evidence I am going to conclude that Top Tier gas is fine but not significantly better than other blends. I would also point out that Top Tier gas is not endorsed by all automakers and several of the major gasoline brands are not Top Tier. EPA regulates content of gasoline in a variety of ways. So every gasoline station has to put certain things in the gasoline. 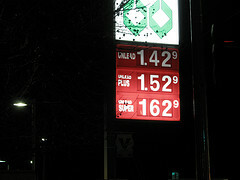 For example, in the winter in some parts of the country it is mandated that gasoline contain 10% ethanol. Otherwise the EPA generally mandates some content of gasoline focused on making sure that that pollution from gas is lessened. But the EPA doesn't seem to look at fuel quality otherwise. The point here is that all gasoline vendors have to obey these rules so something like the 10% ethanol requirement won't vary from one gas station to the next. Your state may perform quality testing and inspection on gasoline. My state has a department that inspects gasoline stations for quantities and quality. They test the quality of the gas and make sure you're getting a full gallon. There are inspection stickers on the gas pumps indicating when it was tested most recently. Many states have programs that randomly sample and test gasoline quality. For example the state of Missouri does various fuel quality tests on gasoline. Unfortunately I couldn't find a complete list but I did find many individual states that have such testing. I'm assuming that most states have such testing and inspection, but I don't know for sure how how many states do it and which ones might not. Bottom Line : No cheaper gas isn't bad for your car. Gasoline is pretty much all the same. * Yeah I know that ain't** a word. One of the recent trends I've seen is bashing of mega banks on one hand and blind gushing praise of credit unions on the other hand. The way people talk you'd think that credit unions are miles ahead of large banks in terms of service and offerings. Surely credit unions do a better job as a whole in the area of customer support and many large banks have poor service. If you generalize its easy to conclude credit unions are better. But.. its not as if credit unions are perfect and never have flaws. I myself quit a credit union years ago cause they started charging stupid fees that banks didn't charge. Kind of ironic that is the exact reason many people are switching away from banks today.
" 88% of customers at Credit Unions and Small Banks were satisfied with the service they received; only 1% of Credit Union and 2% of Small Bank customers were dissatisfied. Large Banks and Wells Fargo both ranked in the middle with 78% of customers satisfied and 4% dissatisfied. 74% of Bank of America customers were satisfied, with 4% dissatisfied." As a group credit unions and small banks are 10% ahead of large banks. Thats significant. But we're talking about a 10% gap in satisfaction not a 90% gap. There are still 12% of credit union customers who are not satisfied. Thats a pretty significant minority don't you think? I mean 88% is a B grade not an A+. You also have to consider that not all credit unions are created alike. As a large group the satisfaction levels are high but there are certainly going to be individual credit unions that have lower customer satisfaction than large banks. There are thousands of credit unions with different management and widely varying quality levels. The average credit union may provide better service than the average large bank but that doesn't mean that every credit union will perform better than every bank. If you look at the detailed study from PrimePerformance you can see something interesting in the regional break downs. In the Southwest region including Arizona, New Mexico, Oklahoma and Texas the credit unions don't have as many happy customers. Credit unions in the Southwest US states have lower satisfaction ratings than large banks and small banks. Southwest credit unions had a 83% satisfaction rate there versus 92% for small banks and 85% for large banks. In the Western states the credit unions also fell behind small banks. There credit unions had 85% satisfied customers versus 89% satisfied customers at small banks. In California credit unions do better than banks in broad satisfaction survey as well. But if you look at the detail in a PrimePerformance survey on California market specifically you'll see the top rated credit union there actually had more customers with problems than several megabanks. The percent of customers with problems or complaints in the past 12 months was 18% at Golden 1 Credit Union. That was beat by Bank of The West and Union Bank both at 12% as well as Wells Fargo and U.S. Bank who had 17%. To be fair, Golden 1 Credit Union did better in all the satisfaction ratings so they have more happy customers. But its notable that they do have more customers who've had problems than many large banks. Maybe the credit union customers are more forgiving of problems. Of course I'm not arguing that credit unions are bad. There are a lot of good credit unions out there that do a great job. As a group they have higher satisfaction than any of the major mega-banks. My point is that credit unions aren't infallible and their performance isn't really miles better than a typical large bank. Individual credit unions may very well be worse than the large banks in their customer satisfaction. Even the credit union with the highest satisfaction rating in California has nearly 1 in 5 customers with problems and complaints. Bottom Line : Credit unions may do better than banks as a whole, but credit unions aren't all awesome. 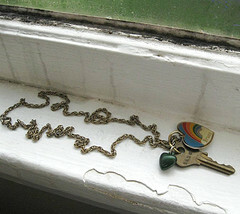 MyMoneyBlog answers the question 90% of College Graduates Have Less Than $40,000 In Student Loans? Spoiler, the answer is YES. 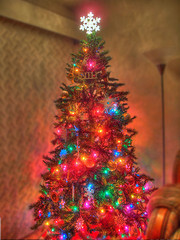 You might also want to know about the $5,000 Cash & Two iPads Holiday Giveaway from MyMoneyBlog! One of the things that the BLS tracks in the unemployment data is the reason that people are unemployed. You might think that the reason someone must be unemployed is that "they lost their job", right? Well, no not everyone. Some people do lose their jobs by being laid off or terminated, other people finish temporary jobs, some people re-enter the job market after being out of the market for a while and still other people are newly minted college or high school grads entering the employment market for the first time. 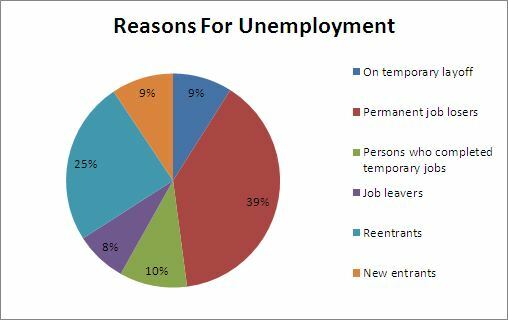 Between new entrants, reentrants and people who left their jobs that equals 42% of the people who are unemployed. Interestingly a pretty large portion of the unemployed did not get fired or laid off. I just realized that apparently I haven't yet written an obligatory article questioning if college is worth it or not. I jokingly asked if high school was worth it or not, but I didn't really discuss if college is worth it. I'll now fulfill my obligation as a personal finance blogger by beating this dead horse of a topic. Probably, usually... but it depends. I kind of think that this question is like asking if buying a car is worth it or asking if owning a house is worth it. Clearly these things can certainly be 'worth' buying in the right situation and not worth buying in other situations. There is no blanket right or wrong answer. Every students skills and desires are different, every college is different, every college major is different and everyones financial situation is different. If you're a decent student with an inclination to learn and you pick a fairly reasonably marketable degree and attend and graduate from reasonably affordable quality university then yes college is going to be worth it for you. I do think that you should be a reasonably decent student for college to be a good idea. I've said before that I think that if you can't get at least B average grades in high school then pursuing college is likely not for you. When I said that a few people took exception... called me narrow minded, ignorant, etc. Of course theres always exceptions but generally if you aren't a good student in high school then you shouldn't expect to do well in college either. My pointed is backed by data if you compare High School GPA versus College Success then people with poor high school grades do poorly in college the vast majority of the time. It is also very important that you actually graduate. Too many students start college and fail to graduate nowadays. Having 'some college' is actually beneficial and people who do attend some college but don't get degrees do tend to have higher paying jobs. However I'm not entirely sure if thats cause and effect or just coincidental. I also think that MOST students would benefit greatly from at least getting a two year degree or pursuing a skilled trade. A high school diploma will not get you very far in the workplace nowadays. Most students are going to do much better if they have at least an Associates degree or skilled training in a trade. For roughly 30% of the population it makes a lot of sense to pursue a 4 year undergraduate bachelors degree or even advanced graduate studies or professional degree. Around 30% of jobs require college so it makes good sense that 30% of people should be getting college degrees to fill those jobs. There are situations when college is absolutely worth it. Are you a good student that wants to become an engineer, doctor, accountant or nurse? Then college is not only worth it, its pretty much mandatory. There are situations when college is definitely NOT worth it. Are you a budding entrepreneur who already has a thriving and successful business and who didn't learn well in a classroom environment? I think anyone in that situation would be wasting their time and money more than not by attending college. Are you a C student in high school who is really good at fixing things and have a particular desire to work with your hands and enjoy fixing cars? Then getting a bachelors degree may not be your best career choice and you may be much better off pursuing a career as a car mechanic. In between there are shades of gray where college can be more or less worth it. For a student who got mostly B's in high school and who is vaguely interested in English the value of a college degree is less clear. If this student starts college with a good attitude and studies and applies themselves, goes to a low cost public school or gets a fat grant from a private school and gets a reasonably flexible degree like English that isn't in an over saturated specialty then getting a four year degree may very well be worth the cost. On the other hand if that student parties too much, goes to an obscure private school cause they are convinced they 'need' too, piles up the maximum in private student loans and then changes majors into communications because its close enough to English and then drops out after their 3rd year at sophomore status then in that case college is most certainly not worth it. Bottom Line : It depends.